The seminar was held in Harbin City, China, on November 16–19, 2018. 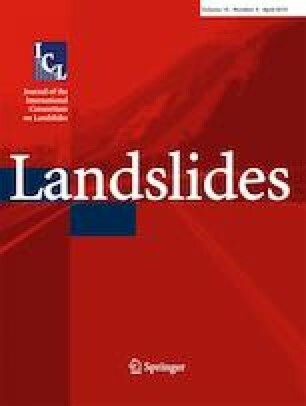 This seminar is also the annual academic conference of ICL-CRLN (Landslides Research Network in Cold Regions of the International Consortium on Landslides) and the Cold Region Landslide Research of IPL-WCoE (World Center of Excellence of International Programme on Landslides). Experts and scholars from Canada, Czech Republic, Russia, and China met and had extensive exchanges on the subjects and looked at the impacts of the issues on human environment and engineering stability. To benefit from this important meeting, the transportation management authorities and some officials from the local governments of Heilongjiang Province and Inner Mongolia Autonomous Region also participated together with teachers and students from some universities and scientific research institutes of China. The meeting was co-organized by the Northeast Forestry University of China and the State Key Laboratory of Frozen Soil Engineering and was under the co-sponsorship of the International Consortium on Landslides (ICL), the Integrated Research on Disaster Risk (IRDR) of International Science Council (ISC), and the International Consortium on Geo-disaster Reduction (ICGdR).